The SSMU Equity portfolio acts as a referral resource to assist students with anti-oppression and social justice issues at McGill University. Some useful links are included on this page for reference. You can also learn more about how to get involved with the University Affairs advocacy tools. SSMU regularly conducts student-led research projects on equity-related topics. You can find past research reports, external research resources, and information on commissioning new research here. Subjects include employment equity, Indigenous solidarity, student support, sexual violence, and more. 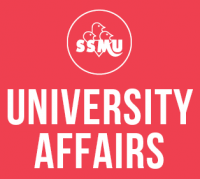 In addition, over the 2013-2014 academic year, the SSMU commissioned three research projects to evaluate SSMU’s work in equity and social justice in comparison to various other educational institutions in North America. The resulting reports focus on equity portfolio finances, policy-making, and governance structures.